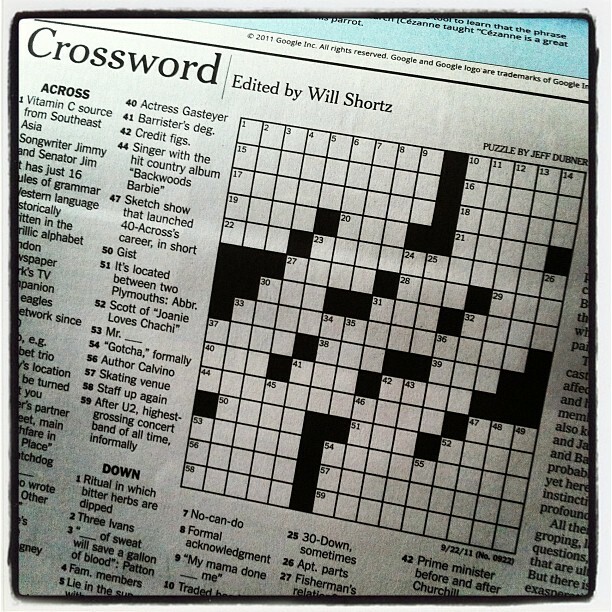 I promise I won’t use this whole post to brag, but I did want to share that my brother had a crossword puzzle published in the New York Times today! I’m very proud. I’m also the first to admit that because it’s a Thursday, I’m unlikely to even attempt to solve it. Maybe one day he’ll get one in on a Monday or Tuesday and I’ll have a shot at it. Seeing his puzzle today reminded me of a fun Valentine’s cookie order we did one year. The customer wanted to send a secret admirer cookie gift, but to make it more interesting, he created a crossword puzzle whose solution revealed his identity. I love when customers order cookies and create clever inserts or cards to include with their gifts. They make an already personal gift that much more special. Plus it’s always fun on our end to feel like we’re in on the surprise! This entry was posted in cookie gifts, order cookies and tagged baking for good, creative cookie gifts, crosswords, gift ideas, secret admirer gift, send cookies. Bookmark the permalink.